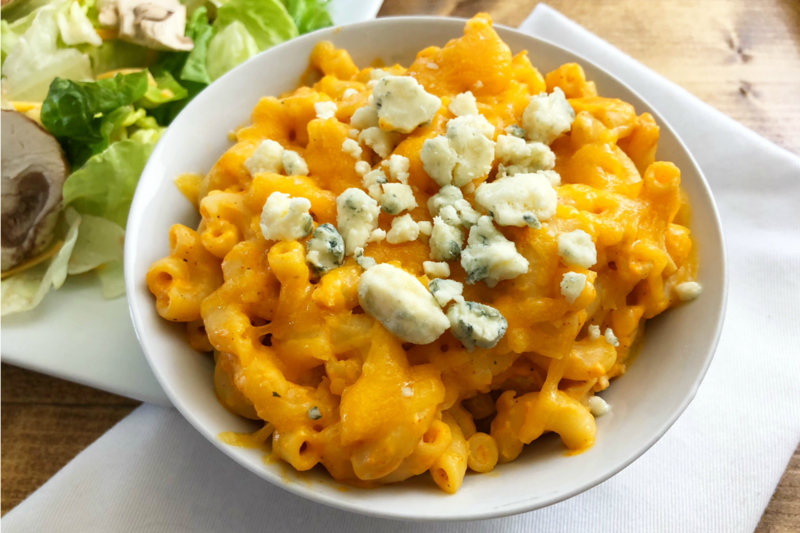 In the recent past, our family has been a bit obsessed with the Buffalo Wings flavor and we’ve made all kinds of goodies – nachos, wraps, tacos, and now homemade mac n cheese. This is a homemade mac n cheese with just the right amount of buffalo wing sauce and Ranch dressing, making for an amazing bowl full of pasta. If you’re fan of blue cheese, you can top it off with a few crumbles for the ‘complete buffalo wings flavor.’ It’s a more expensive ingredient and you can leave it out…unless you love blue cheese and will use the rest of it for salads or other meals. Also, with the “Big Football Game” coming up, be on the lookout for coupons for the Buffalo Wings sauce! Enjoy! Cook the pasta, as directed, to al dente. Drain well. In a large mixing bowl, toss together the sour cream, buffalo wing sauce, Ranch dressing mix and half of the shredded cheese. Stir in the shredded rotisserie chicken. Pour the drained pasta into the bowl and toss with the cheesy mixture. Pour into baking dish and top with remaining shredded cheese. 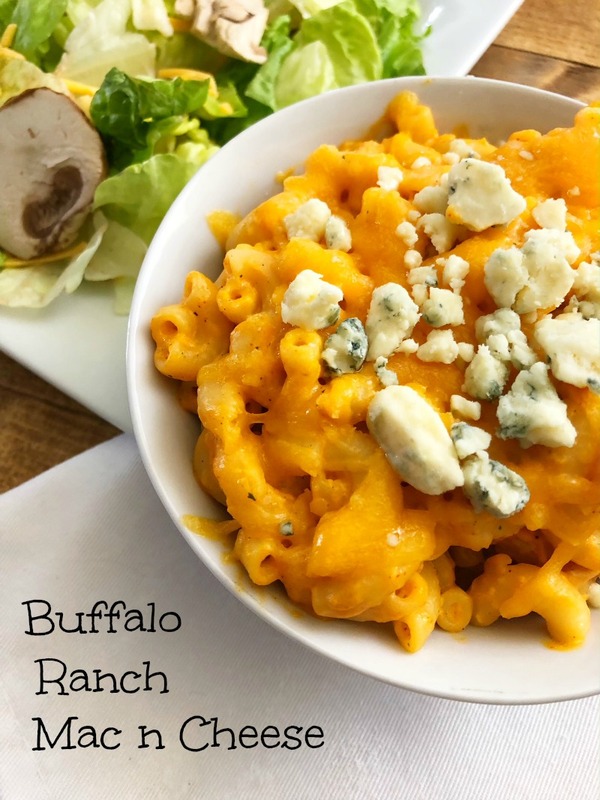 Serve Buffalo Ranch Mac n Cheese Bake with crumbled blue cheese garnish and salad.